Instagram is the perfect medium to showcase one's love of watches. From regular folks to the super rich, a wrist shot is easy to take once a day and there seems to be an entire crew of people showing their timepieces on the daily. I had to share the amazin cake I just got from my girlfriend for my birthday, thought you guys would enjoy! It was made of Mexican chocolate and if you are in NYC, you can get one made at Sweet and Shiny in Williamsburg, Brooklyn. As not only a watch fanatic, but a gadget lover that has made most of his living off of applications and sites for Mobile and connected devices, I have a huge stake in whatever products Apple puts forward. We knew an iWatch was coming, we weren't sure when, but they began to feel inevitable. During the keynote, Apple proceeded to sell the Watch as hard as possible, citing millions of personalized options, three metals including Rose Gold and Gold, and a whole menagerie of straps using a quick change strap system they came up with. User MrSimba on the Rolex forums has posted the first picture of the hotly anticipated Rolex Ceramic Pepsi GMT, available exclusively in white gold. Check his pic out below and let us know what you think! Although I am a big fan of the new ceramic bezels Rolex and other brands came out with a recently, the era of faded and discolored bezels is officially dead. Older bezels from various models have added so much character to vintage watches: blacks changing to blues, reds to pinks, blues to purples, grey 'ghost' bezels and all the variations in between. 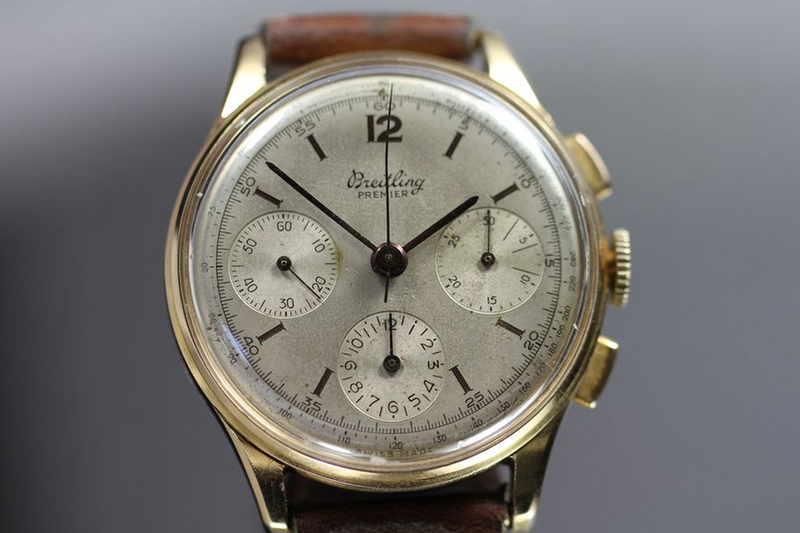 Why The Elongated Lines On Vintage Chronographs? 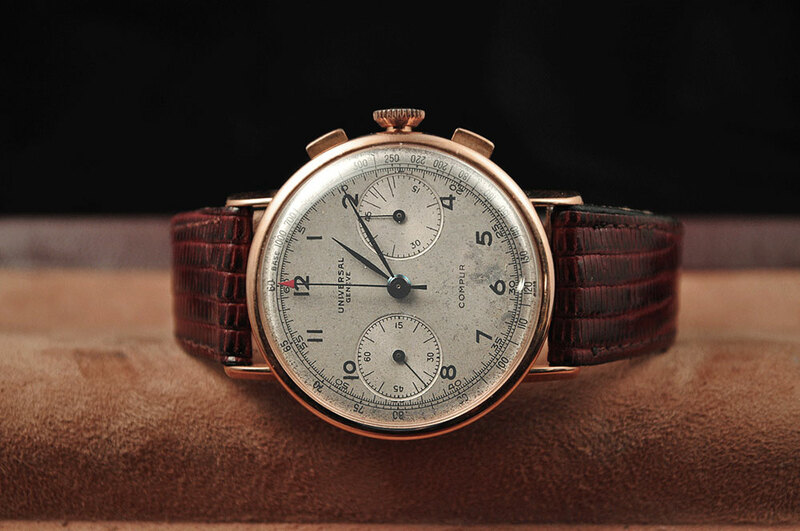 For a time I owned a 1941 Universal Geneve Bi-Compax chronograph. It was a fantastic watch and was made of the most amazing red gold, however something about it baffled me. On my watch, and I soon noticed on others from the same time, there were elogated lines in the minute totalizer at three minutes, six minutes and nine minutes. 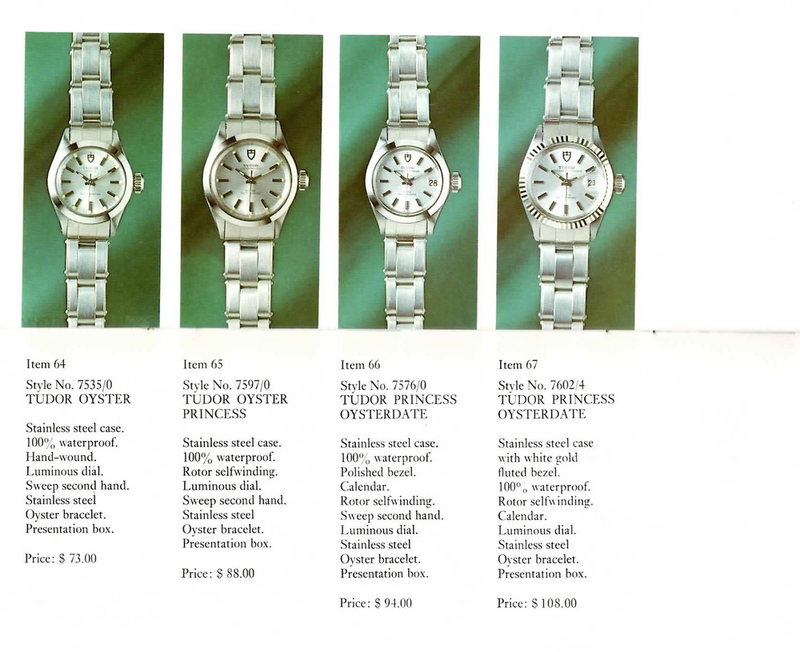 It was so specific and done across nearly every brand, from Longines to Wittnaur to Rolex to Breitling, I knew there had to be an explanation. I turned to the great minds in the Reddit watch community and was told a very interesting answer, which I thought needed to be shared. It all comes down to the telephone. According to a watchmaker and enthusiast, I was informed that back in the 40s, 50s and early 60s when these watches were being produced, people used payphones regurarly. Cell phones obviously didn't exist and many people didn't have landline in their home yet. When using a payphone at the time, the money you put in got you three minutes of talk time, and you were cut off abruptly when your time was up. The lines on the chronograph simply help you keep track of your telephone call. You'd start the chronograph, put in your money, and easily be able to know when to put more money in or to finish your conversation. Most calls were likely under 10 minutes, which is why only the first three-minute markers look like this. 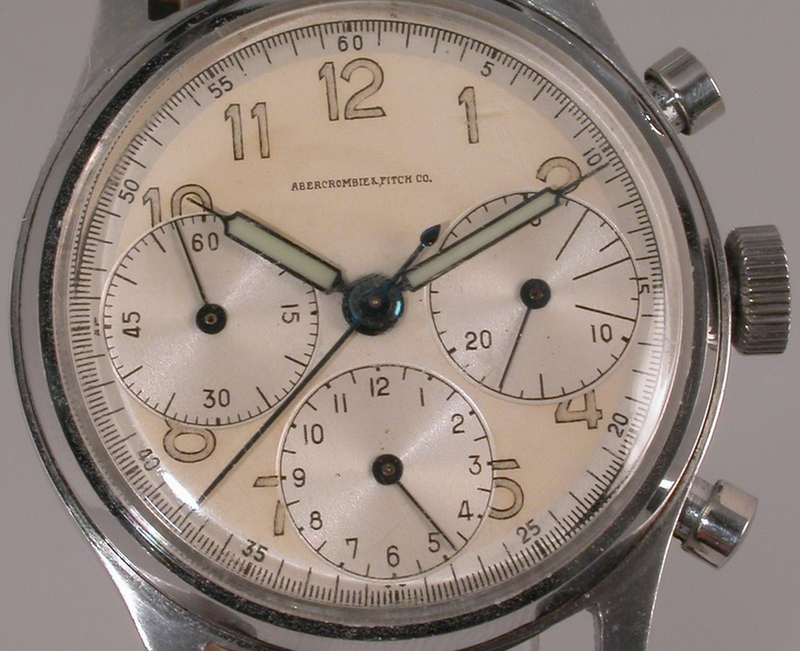 And for your enjoyment, a gallery of vintage chronographs with the lines. You'll see that some companies put them at 4, 8 and 12. 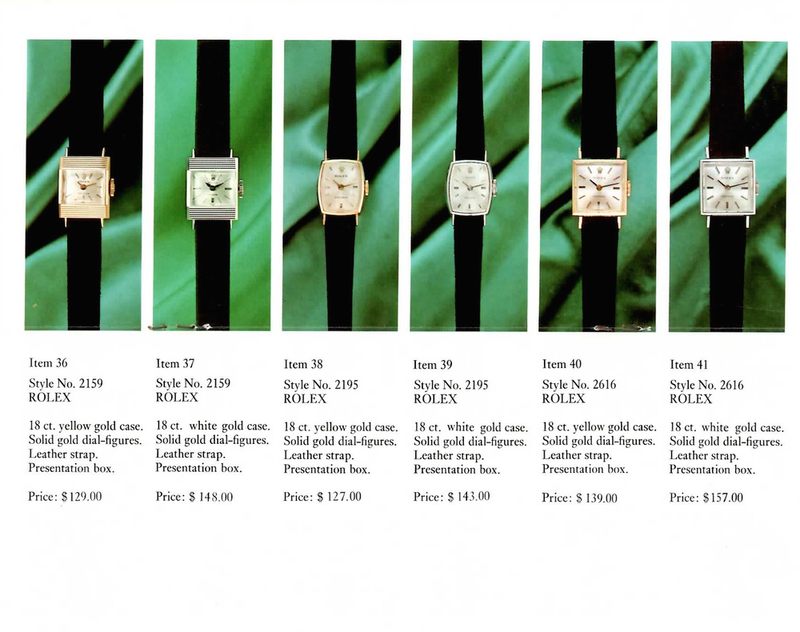 Since I began to collect watches, I always enjoyed ones with crystal case-backs that showed off the movement. I think it is an affliction particularly acute to new collectors. You get to see the beautiful mechanical movement, the intricate embellishment, and generally bond with the incredible engineering that goes into a watch you spent a lot of hard earned money to acquire. 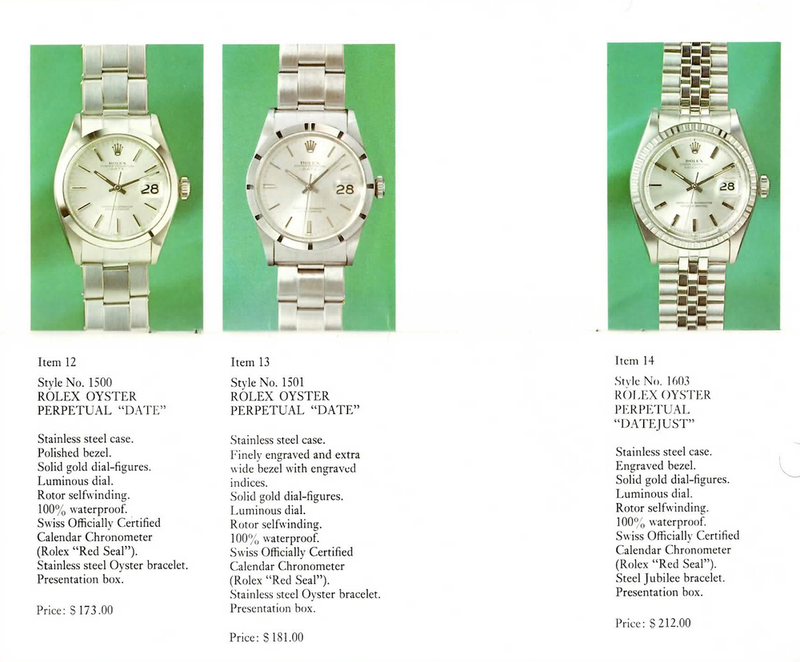 While cruising the forums, I kept seeing posts of people showing off Rolexes (gasp) with exhibition case-backs. If you don't know why this is 'gasp' worthy, it's because Rolex, as near as makes no difference, hasn't made any production watches which have a windowed case-back. 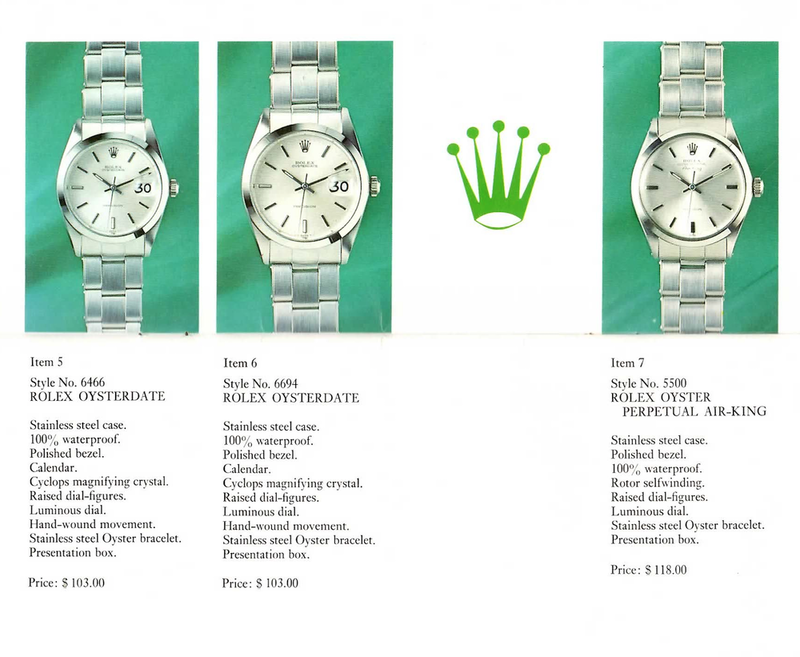 In fact it is a sure sign that a particular Rolex is fake. In my trips to Chinatown years ago with my first watch friend, I would play with the fake Rolexes, most of which had these windows on the back to see the movement. I guess they figure people who haven't actually seen a real one, would naturally assume since it is a nice watch you would be able to admire the movement from the back. Recently my curiosity got the best of me and I decided to check out the case-back maker that everyone raved about, Thomas Preik from Custom Watch Concepts. They are based in Germany and claim to engineer their case-backs to be just as waterproof and corrosion resistant as the originals they replace. While they have the most case-backs for Rolex models, they also make them for the Omega Speedmaster Professional, a few Zenith Chronographs, vintage Breitling and Junghams. The next morning I went to my local watchmaker to install it. I was going to do it myself but had trouble getting the original case-back off the watch and didn't want to do any damage to it. He put it on in only a few seconds, and said it lined up with the gasket correctly. I didn't pressure test it yet, but from what I hear they are built to handle a 100+ meter test. Once I got to my desk at work, I took the watch off, turned it around, and loved what I saw. For the first time in a while I got to enjoy watching my watch tick away, and I had never seen a Rolex movement in this way. The colored wheels and the subtle finishing on the rotor and main plate are fantastic, and the fact that this case-back had the same riveted ring to screw it off as the original Rolex one was icing on the cake. I soon noticed there was another benefit as well. This particular case-back seemed to be about 2-3mm taller than the original. Custom Watch Concepts says that most of their case-backs are the exact same height as the original, but I think some of the vintage ones, like mine, are slightly taller. 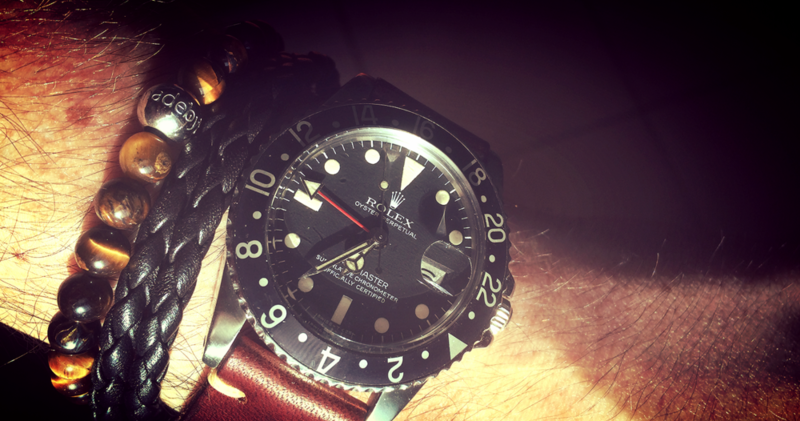 I always felt that my 1675 wore a bit small, without noticeable wrist presence, and it dug into my wrist often. With the slight extra boost, it now sits proudly, with some clearance between the crown and my wrist, making it more comfortable and easy to wind or adjust without taking it off. From everything I've seen so far, I'm extremely happy with Thomas Preik's casebacks. The shipping was fast, the price was reasonable for the quality and it gives me back a joy I haven't experienced in quite a while. Highly recommended. Are Vintage Classics No Longer Attainable? 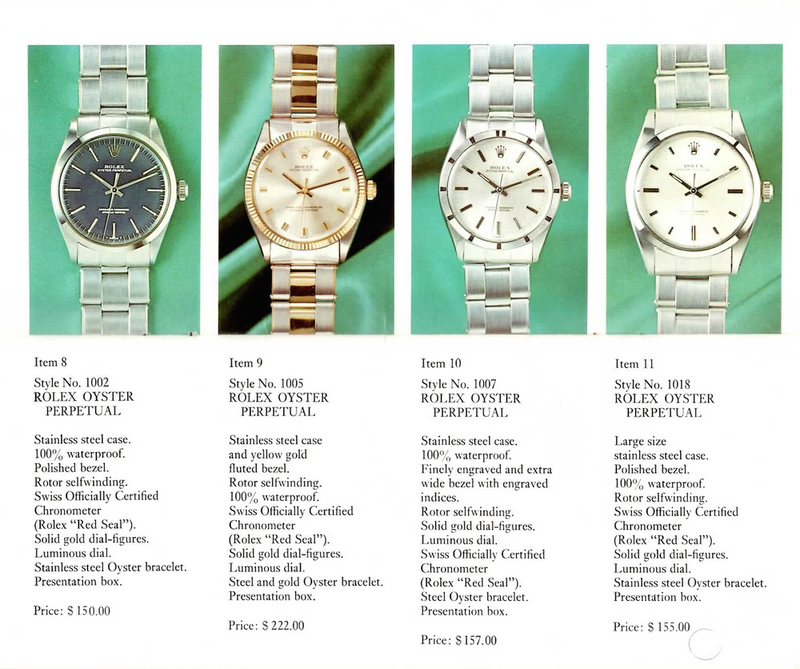 A fantastic thread was started over on The Rolex Forums recently by user PSV entitled "RIP vintage Rolex hobby", positing that at this point, most popular vintage Rolex models were being priced out of collector's budgets. This is a topic I've been wrestling with lately as well, having moved most of my watch budget out of newer models and into the 60's and 70's vintage models that I fear may be too expensive to justify soon. Even during the past ten years, most of the classic vintage models in good condition have gone from thousands of dollars to 10's of thousands of dollars. Models like the 1655 Explorer II from the 1970s [pictured below] has gone from something hard to sell for $5k fifteen years ago, to prices near $20k today. 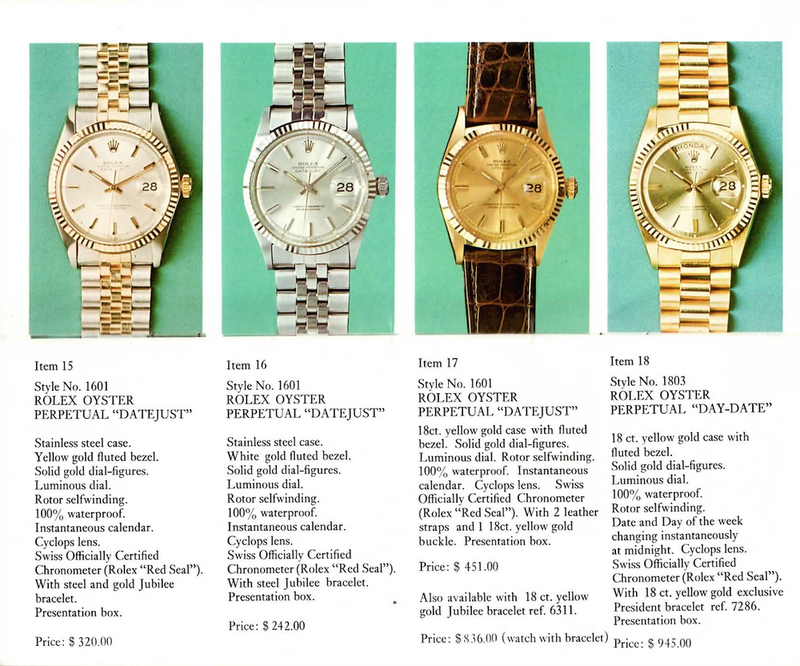 I wasn't around to see the heyday of vintage Rolex, when collectors in the thread spoke about the fun of trading these still recent but out of fashion models in the 1980s. How for a few thousand you could pick up a 5513, 1680, 1655 or a DRSD, all models mostly into five-figure territory today. I feel this is the most important debate in vintage Rolex today. I've always loved watches since I was very young, and I arguably still am having recently turned 30. In the last handful of years I have be fortunate enough to have some disposable income to spend on this hobby, so I began to buy, and sell, and buy again. I was mostly interested in newish watches as I didn't know much about vintage and wanted to make sure I was wearing something I could truly rely on. However the vintage stuff began to captivate me: the plexiglass crystals, the different shades of patina, silver date wheels, open 6's and 9's and all the different types of history of the buyers and the time they were made. So recently I totally changed my collecting strategy, selling anything I had that was new and I didn't have significant attachment to, in order to focus on vintage. Simply put, I know I can buy any of the new models for the next few decades, but I feel we are in the last stages of being able to ever own the classic models from the 60s and 70s without the kind of investment I know I won't be comfortable with, especially for something so easily broken, stolen or damaged through the years. That said, I wouldn't buy them if I didn't truly love them and want to WEAR them every day. Do I consider them a form of an investment? Well, I guess you could ask my savings account that. But one of the great things about any Rolex is that it is a way to park money while enjoying it every day. "Don’t be too aggressive with your budget. If you overspend and worry too much about the money, you won’t enjoy it as much as you should." He's absolutely right. Enjoy what you have while you have the time to. I bet art collectors in the mid-20th century were annoyed that they could no longer afford decent Picasso's for their own collection. Now it seems incredible anyone could have these hanging on their dining room walls. Fine watches are becoming no different, except you can enjoy them during every part of your day. The older ones are of course more rare, and to some more beautiful, but at the end of the day most of us get enjoy some of each, old and new. For how much longer who knows, I'm not looking to find out, which is why I'm placing emphasis on them now. 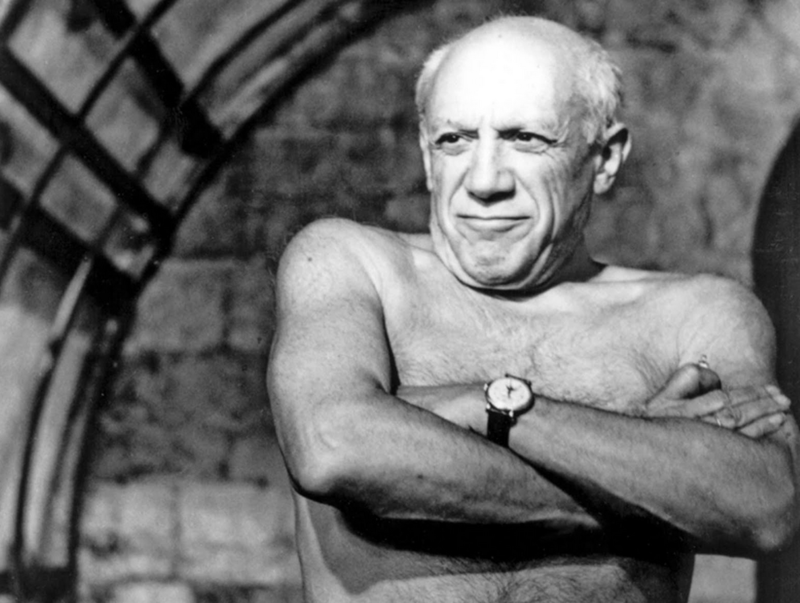 Pablo Picasso wearing a Patek and no shirt. Many theories are offered as to why these vintage pieces are rising in price so quickly. Some thought it was the fault of the ultra rich, buying them up like any other precious asset, to save in their safe as another investment instrument. Others felt it is simply the march of inflation and rarity of something special. There are many factors that can move a small, niche market like this. 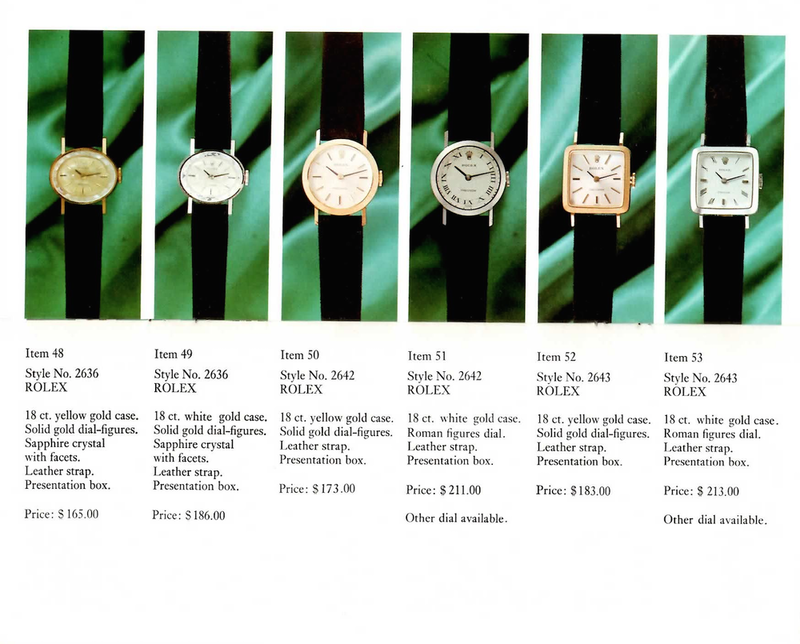 I'm sure a big auction house could put together a big watch sale (they already do all the time) with outrageous prices and the tide would immediately rise again. I'm sure that once the Asian continent begins to focus on vintage they will go up even more still. But whatever the cause, the effect is fairly predictable. Most of all, I don't recommend buying a watch unless you love it and truly intend to wear it. If not for yourself, then so the rest of the collectors can see them alive and well in the wild. A vintage timepiece with a great story is the ultimate conversation starter, and the friends I've met in this hobby are some of the most interesting people I've known. So if you have the means to buy that Paul Newman Daytona, that's great, but wear it around so we can all admire and talk about it. I recently added two vintage watches to my collection, both from the 1970s, and both with acrylic crystals (plexiglass). I had always heard that one of the benefits of plexiglass crystals, over sapphire crystal, was that if they got scratched up, it was incredibly easy to buff the scratches out using a product called Polywatch. Having lived in the world of sapphire crystal for a long time, scared a scratch would show up each time I examined my watches, I took a look at the slightly scuffed up crystals on my new-old watches and wanted to make them scratch free again on my own. So I picked up a few tubes of Polywatch for about $8 on Amazon, they came in the mail today and I set to work googling how to use the stuff and figuring it out on my own. It was pretty straightforward. First, I used a lens cleaner to make sure there were no oils or debris on the watch crystal from being handled. The presence of hand oils gets in the way of the process, and its best to start with as clean a crystal as you can. Second, I placed a small amount of Polywatch directly on the crystal (you don't need as much as you see in the animated GIF below). I found it was better to apply small amounts and buff it until it is gone, and then repeat. Third, I began to rub the Polywatch into the crystal. A Q-Tip (cotton swab) didn't work great so I quickly switched to a piece of t-shirt and a cotton cleaning cloth from Varaet, which made it much easier to apply even pressure. A cotton ball can also be used. I spent about three minutes quickly rubbing the crystal and adding more Polywatch with very firm pressure, and felt it get warm to the touch after I was done. From what I understand, part of the process is that by rubbing the crystal fast, the friction and chemical compound melts a very thin layer of the plexiglass, redepositing it into the scratches on the crystal. Finally, after both crystals were done, I took a microfiber cloth and wiped any excess compound off the crystals and cleaned them up. The results were spectacular and lived up to the hype I've read about online. Such a cheap tool to keep in your watch maintenance arsenal, especially if you love vintage plexiglass watches (Moonwatch purists I'm looking at you). Both crystals were much clearer and all the visible scratches I examined before using Polywatch were just gone. Highly recommended! See the scratches near the 4, 5 and 9 o'clock markers. That's on the crystal not the dial. Clean and clear. Took off a layer of general fog as well exposing the dial's beauty. The only thing that has been as fashionable as great watches the last few years, has been the bracelets beside them. Many watch bloggers have worn leather braided bracelets next to watches in photos for as long as I can remember, probably how the trend started. As most men who value their watches are aware, we don't get access to the kind of personality enhancing accessories as the ladies in our lives. More and more men are getting interested in accessorizing, with watches being something of an gateway 'drug' due to its utility and status as THE male statement piece. What else do we get? Well, traditionally, besides a watch you get your shoes, ties, glasses and...cuff links? Lets take a look at some cool bracelets to enhance that timepiece and bring more attention and fun to your wrist. With a great and mostly well under $100 selection of both leather and beaded bracelets, this is a true watch + bracelet brand. 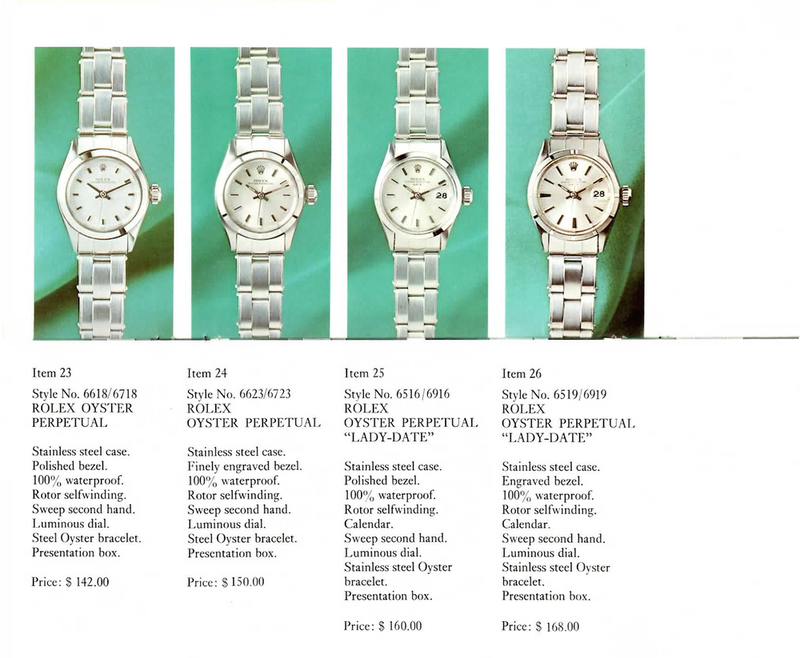 Most of the images on the site depict bracelets next to Panerai and vintage Rolex watches, and for all I know MadeByBerg may have started this trend. I got a tip from a user on Reddit about MadeByBerg and immediately snapped up a beaded tigers-eye bracelet (pictured at the top). After about two weeks (they are located in Scandinavia), my bracelet arrived today and I love the careful craftsmanship and the way the tiger's-eye beads compliment a leather Horween strap.The photography on the site is great and they let you choose your wrist size since most of their bracelets aren't adjustable. These are hand made after being ordered, and I'm loving mine so far. Tod's is mainly known for great leather shoes and accessories, so it's no surprise they are experts at making braided bracelets. I tried a number of bracelets I found on eBay and Amazon that looked similar, but none that were anywhere near as well appointed. With their 'hook & anchor' line of bracelets all over GQ and Equire the last few years, Miansai has serious style and specializes in bracelets. With their hook line in several materials like steel, silver, gold and rose gold, the site lets you customize your own bracelet, choosing both the hardware and the leather or rope you want to go with it. I've owned two of the leather ones with hooks and I really like them. I also own a cloth rope on with the 'anchor' clasp, which doesn't hold the bracelet on as well, so stick with the hook variety. If you leave behind all the tacky logo purses and luggage seen everywhere these days, Louis Vuitton makes some pretty great leather accessories that hold up well and look damn good. Sure, they may be a little overpriced, but everything they make is put to a rugged 'wear' test and quality control is terrific. Great way to treat yourself and have a taste of the stylish French fashion house too! With a wide selection, great rating and some really unique designs, Elizi Atelye is a perfect place to look for lower priced bracelets to accompany a timepiece. I am a big fan of her whale tail pieces (pictured above). Definitely worth a look and easy on the budget. A final note about watches and bracelets, make sure you don't get anything with a clasp that will rub against your watch case or bracelet. If you have a favorite bracelet that tends to do this, simply get a clasp-less bracelet made of leather or cloth, and put it in between the watch and the bracelet with clasp. PVD & DLC Coating: Worth it? The other day I was chatting watches with a new friend, when he asked my opinion on turning steel watches black. There has been a cottage industry growing to do just this for people who want to customize their watch, but is a heavily divisive topic among watch enthusiasts. So lets talk about it! Steel is incredibly difficult to color or change on a chemical level. It is a very dense material without the porousness of most other items that are easier to manipulate like plastic or ceramic. Taking a stainless steel watch and making it appear to be made of matte black steel is fairly tricky, as well as expensive. You don't want to just paint it because the paint won't bind well to the metal and will come off quickly with wear. PVD or Physical Vapor Deposition, is a process which vaporizes a number of metals, and then binds it on a surface, in layers, in a heated vaccuum. So which process is better? From what I've gathered on the forums and various sites, DLC is generally tougher and more resistant. There are many stories to be found about a PVD job that has begun to wear around the edges in under a year. That said, there are lots of businesses that do these coatings, and they are not created equally. Someone incompetent doing a DLC coating could be far worse than an expert finishing shop doing a PVD coating. As always in this industry, buy the seller, then the service. There is a lot of information out there to point you in the right direction, and since this process isn't exactly cheap ($750-$2000), be sure to pick the right company. 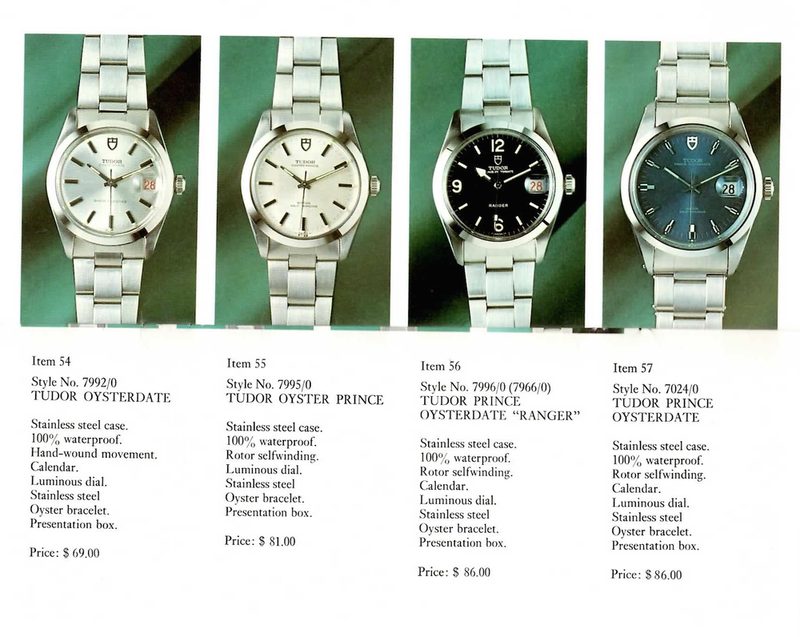 As another part of the discussion, there are finishing shops that buy new watches, coat and remix them, and sell them as effectively new watches direct to consumers. The most popular one by a mile is currently Pro Hunter, who specialize in Rolex coating and other modifications like colored seconds hands and adding their brand text to the dial. These are much more expensive than a regular new production watch, but I think that if you're going to customize, in for a penny, in for a pound. Having done some staggering work, they are actually becoming something of a limited series for certain Rolex collectors as well. Before we move on to your other option, I think it is worthwhile to note that if you do decide to coat your watch on your own, it will void the warranty on most watches and the manufacturer likely won't touch them every again. To some people, this is fine as they have their own watchmakers, but do it to that vintage Royal Oak Jumbo, and it's going to be hard and very expensive to service it. The other option you have is to buy a PVD/DLC watch that the watch company offers. Many brands, including Breitling, Panerai, Bell & Ross and Linde Werdelin have models that are available in a black coated finish. To note, the process isn't really different, and manufacturers are up-front about wear occuring on the finish. This means you get to have a black steel watch, which was designed and manufactured to be black steel, and enjoy the benefit of a factory warranty as well! When dealing with stylish accessories, the desire to personalize them will always be out there. What's important is that YOU want whatever you want, and its absolutely your decision to make with your hard earned timepieces. However, if asked if I would ever buy a watch with a black coating from the manufacturer...well that Panerai at the top of this post looks awful nice to me. Water Resistance is an often misunderstood topic. When I was just starting out I figured diving watches were 'waterproof'. 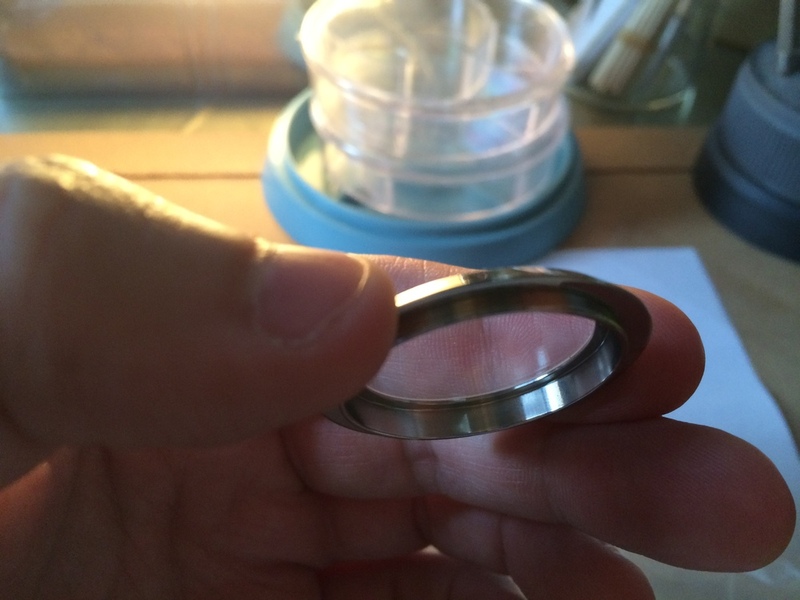 A jeweler quickly corrected me and explained the concept of water resistance. Watches are never rated as waterproof, mostly because there will always be conditions that have the ability to flood the watch. Sure, for some fine diving watches, you'd need to burrow halfway to the center of the earth to find such conditions, but as these are foremost watches meant to be tools, performance metrics are very important. If you watch doesn't specify, or is a vintage piece, for the most part these fall into the 'no water' category. You can also look for some tells of whether your watch is meant to be waterproof, but use these only to confirm they are built to be watertight, not that they necessarily are until you get your watch pressure tested by a professional watchmaker. 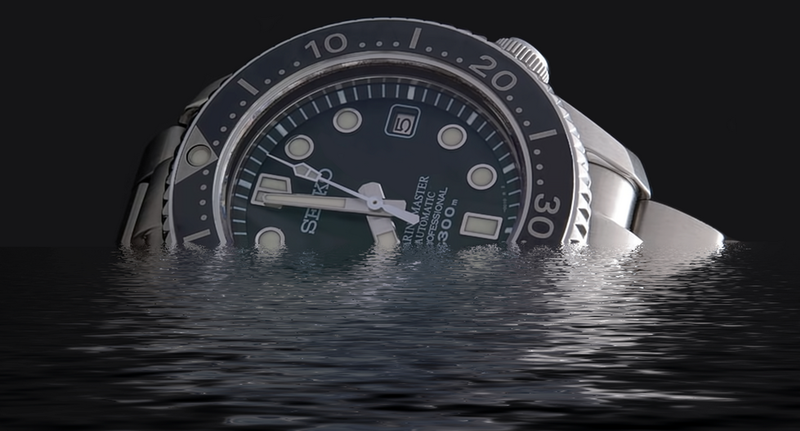 Here are some things to look for to decide if a watch is engineered to handle water submersion. Second, a thick crystal over the watch face. The crystal is a major part of making sure things don't get into your watch casing, as crystal is a lot less stable than metal. Watchmakers began to install thicker crystals on their diving watches to withstand the pressures which come from the deep depths. Rolex famously made a very rare watch called the Deepsea Challenge, capable of withstanding the pressures at the bottom of the Mariana Trench, the deepest known point in the ocean at 39,370 Feet. Or 7 miles. Finally, a watch truly meant for deep water applications (or aspirations thereof) will have a helium escape valve. During prolonged deepwater dives, Helium (He), the smallest particles found on Earth, often sneaks by the watch's gaskets and other security measures and build up inside the watch casing. 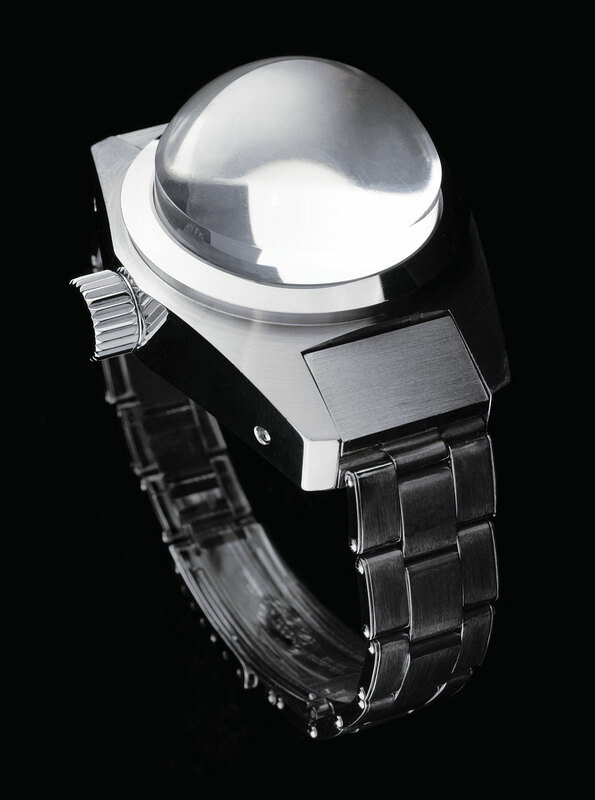 While resurfacing, if not released, the Helium depressurizes, which can cause the crystal to pop off the watch. In sum, if you have a highly water resistant watch (100m+), don't be afraid to swim, snorkel and shower with it. The reason that many of these watches are so expensive is the extreme overengineering and thought that goes into making it a purpose built instrument. The deep end at the country club pool isn't going to give it anything to worry about. That said, before you submit any watch to significant water exposure, make sure you get it pressure tested whenever it needs a service. If you use it often for deep dives, I'd recommend you check at least once a year to make sure it is staying properly sealed and that the gaskets aren't getting worn out. Its a cheap and fast process that will give you peace of mind and is nothing compared to ending up with a fishtank on your wrist.